Beth Hessel and William Yoo leading a workshop, St. Louis, MO, July 7, 2017. PHS staff members joined Presbyterians and other PC(USA) employees from around the country at this summer's Big Tent gathering. As with the 2015 Big Tent in Knoxville, TN, this year's teaching, preaching, and dining hall eating took place on a leafy college campus--Washington University in St. Louis, MO. In addition to plugging the services and ministries of the Office of the General Assembly at our agency display (alongside OGA colleagues Luke Choi, Sherri Hunter, and Jerry Van Marter), PHS staff members led three Big Tent workshops, each developed in response to this year's theme of Race, Reconciliation, and Reformation. Office of the General Assembly display area, July 7, 2018. Executive Director Beth Hessel led two workshops. Friday morning she and Columbia Theological Seminary Professor William Yoo spoke before a gathering of forty people on "Presbyterian History, Racial Reconciliation, and the Most Segregated Day of the Week," offering reflections on how different "lenses of identity" have influenced Presbyterian responses to historic social questions through the years. Beth referenced Hebrews 12:1 while contending that Presbyterians of today need to know the past actions of the "great cloud of witnesses" to understand where the church is going in the future. Using primary source documents and the biographies of individual Presbyterians such as Lucy Craft Laney, Albert Barnes, Robert Finley, and John Bailey Adger, Beth and William focused on slavery, abolitionism, and the American Colonialization Society before discussing 20th century immigration to the United States and the ways church attitudes and actions of the past relate to contemporary social issues. 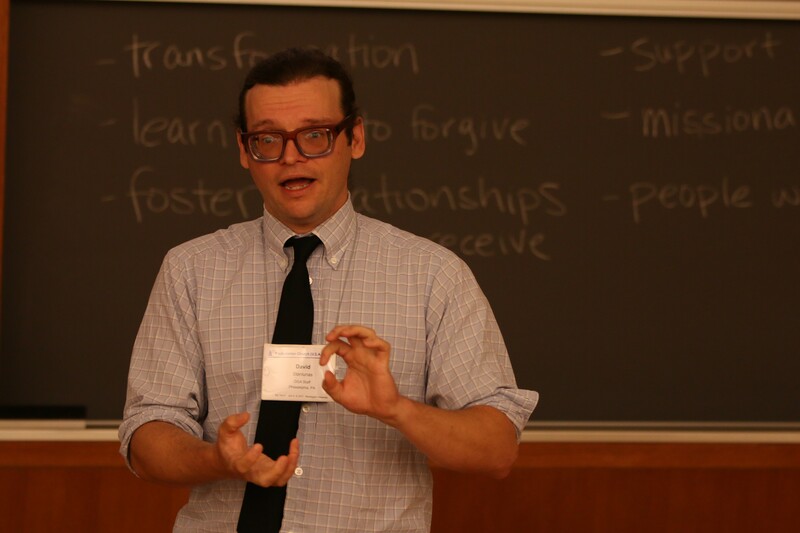 Jill Duffield of The Presbyterian Outlook attended the workshop and wrote about it in this inspired Big Tent dispatch. Beth Hessel, St. Louis, MO, July 7, 2017. 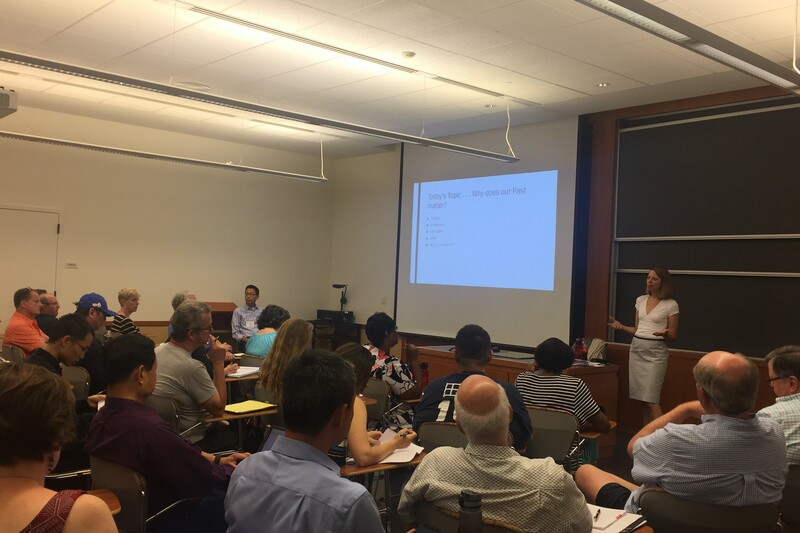 Friday afternoon, Beth led another workshop, "75 Years On: Presbyterian Engagement with the WWII Incarceration of Japanese Americans." While discussing Executive Order 9066 and the resulting mass imprisonment and detainment of Japanese Americans during World War II, she focused on the ways congregations, mid councils, and individual Presbyterians "stood up for or failed to stand up for justice," as well as the development of an "Asian American liberation theology." Read Beth's thoughts on the anniversary of Executive Order 9066, in February 2017, here. Records Archivist David Staniunas led the Saturday morning workshop "Reliable Records and Secure Speech," which covered ways for church and mid council clerks to maintain reliable paper and born-digital records and strengthen their privacy online. The group examined the historic precedent for Presbyterians’ use of encrypted speech, starting with the five-character Board of Foreign Missions cable cipher, then covered basic digital hygiene and appraised tools for secure messaging. 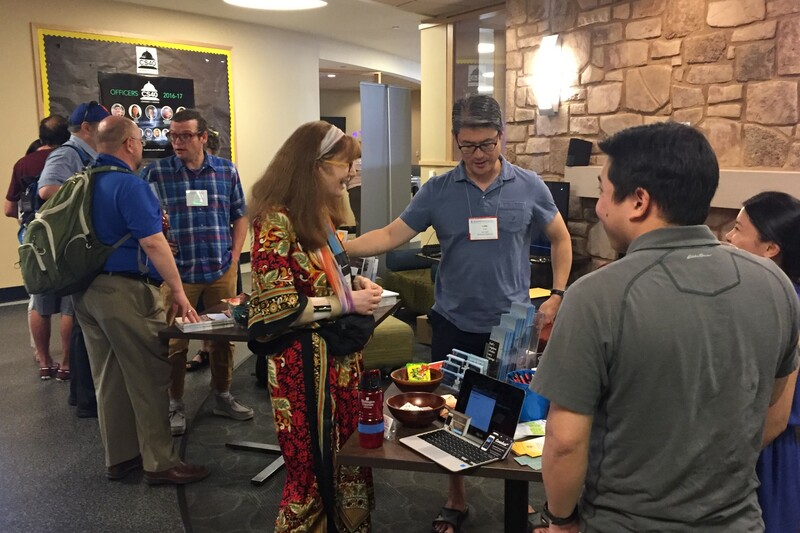 Attendees found a need for increased security options owing to legal and disciplinary matters, to protect churches discerning whether to become sanctuary congregations, and to communicate with mission coworkers in nations that restrict and monitor digital communications. David Staniunas, St. Louis, MO, July 7, 2017. Photo by Randy Hobson. The Office of Just Immigration's Teresa Waggener, who presented an earlier workshop on the OGA storymap and soon-to-be-released film Exodus to Genesis, gave an especially positive review of the Reliable Records workship. “As the church, we find ourselves custodians to sensitive information about the members and community we serve. Whether we are hiring new staff, counseling a member, supporting a mission co-worker on a dangerous assignment or pastoring undocumented members, we need to consider how we keep records of the life of the church in a safe and secure manner. David’s workshop challenges and informs church leadership to do this with humor and detailed instruction.” Readers interested in learing about PHS records management should click here. It was only a shame the half-dozen golf carts that shuttled conference attendees between venues did not have a two-hour back-in-time machine setting; many were the Big Tenters who struggled with the question of which workshop to attend and which to forego. Still, the busy line up of classes, worship services at Graham Chapel, Hands & Feet volunteer opportunities, and visits to Giddings-Lovejoy Presbytery churches kept everyone looking forward to the next chance for fellowship, discussion, and reflection. We've already set our sights on next summer's General Assembly, when the Historical Society will again meet the Church it serves in St. Louis. 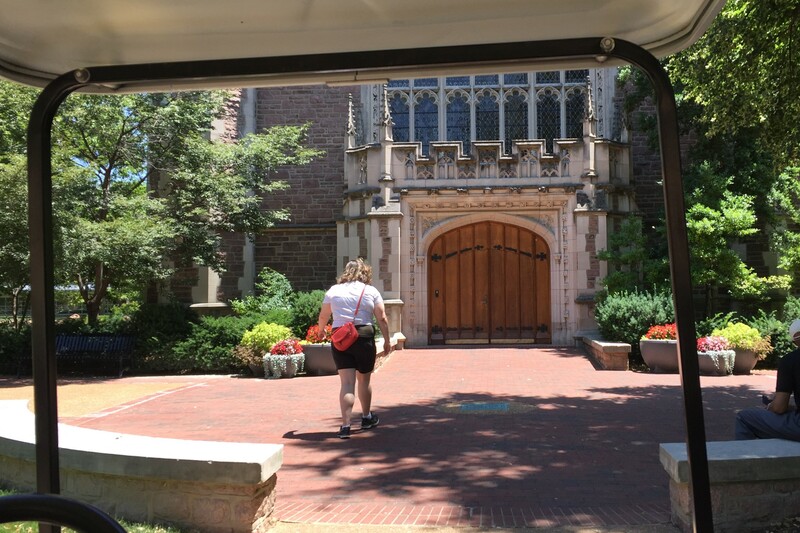 Golf carting to Graham Chapel, July 8, 2017. 1 hour 34 min ago. Happy #EarthDay from the Presbyterian Historical Society! Here is an image of the very first Earth Day in 1970 that comes from our collection of Religious News Service photographs. To view this image and read about the Presbyterian Church and it's involvement in environmental causes over the years, visit https://buff.ly/2GznHvN.